Cookeville is quickly becoming a “hotspot” for sporting events of all kinds. From Division I college athletic events and state high school championships to local and regional tournaments, we do it all. If you’re looking for a great town with excellent facilities and strong community involvement to host your next sporting event, then Cookeville is the place for you. We have a wide variety of playing fields just for your event. 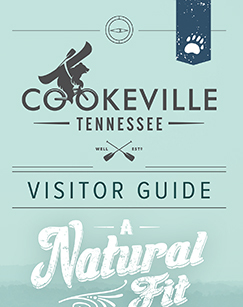 Just take a look at what all Cookeville has to offer you and your team. Four tournament-ready baseball/softball fields set up for use with or without pitching mounds. Four additional youth-sized baseball/softball fields adjoin the main complex, and can be used for youth tournaments or as warm-up space for adult tournaments. Three picnic shelters are on site, along with basketball and volleyball courts, a 50-acre lake and an 18-hole disc golf course. Four more youth baseball/softball fields are located less than two miles away at Park View Park. Cookeville is graced with two small lakes — a 56-acre lake in Cane Creek Park with fishing and paddleboats, and City Lake, situated in a 35-acre natural park with a waterfall overlook. And just a stone’s skip away are three top-rated, Corps of Engineers lakes, plus more than 150 documented waterfalls within a 44-mile radius of downtown Cookeville, including Burgess Falls, Virgin Falls, Fall Creek Falls, Rock Island and Cummins Falls. Let the splashing begin! Home to top-notch athletic facilities for the University’s varsity and intramural sports programs. Primary facilities include 16,500-seat Tucker Stadium for football, soccer and track, 10,200-seat Hooper Eblen Center and 3,262-seat Memorial Gymnasium for basketball and volleyball, 2,000-seat Hyder-Burks Agricultural Pavilion and arena, the Averitt Express baseball facility and numerous tennis courts, intramural fields and auxiliary gymnasiums. Putnam County is home to seven golf courses. You can also tee off at one of several golf courses located within a few miles of Cookeville, four of which are championship courses. This multipurpose facility consists of 3.5 acres under one roof. The pavilion may be used for conventions, rodeos, home and garden shows, craft fairs and much more. Features: 125x250 indoor, heated show arena , approximately 2,096 permanent stadium seats. Six lighted fields, restroom facilities, a walking trail and concessions. Putnam County Parks and Recreation Department maintains all facilities.